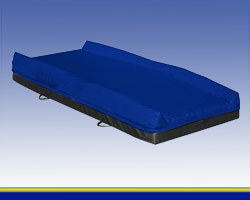 American Medical Equipment's Foam Mattresses with Raised Perimeter provide security and safety. Designed with the height of the edges about 2 inches greater than the center. 3) to fill in the space between the side rails and the mattress edge to prevent body parts from becoming trapped and injured.